"A hand-up, not a hand-out." 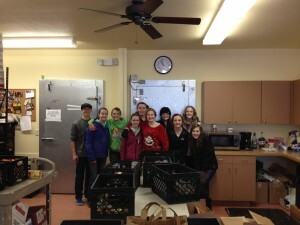 Food Donations are thankfully accepted M-W-F 9:30 a.m. to 2:00 p.m. Enter the back door at the eastern end of our building (there is a ramp to a set of double doors). We will provide a receipt for your donation. Every year, the Stevensville Schools and Florence Schools collect many thousands of pounds of groceries to fill Pantry Partners’ shelves. The students often pre-sort the food before it arrives, making it easy to stock the shelves. We really appreciate everyone who works on these projects! The USPS Stamp Out Hunger Food Drive: “Every second Saturday in May, letter carriers in more than 10,000 cities and towns across America collect the goodness and compassion of their postal customers, who participate in the NALC Stamp Out Hunger National Food Drive — the largest one-day food drive in the nation.” (quote from USPS website). 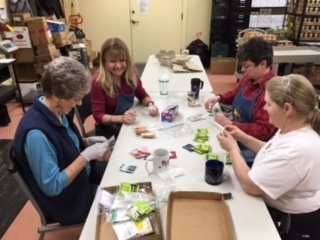 In 2016, Stevensville USPS carriers collected 1691.3 pounds for Pantry Partners’ clients. The Florence USPS carriers collected 460 pounds – a huge contribution to the Pantry. The Victor USPS carriers collected 502.3 pounds – another large contribution to the Pantry’s cupboards. The Cherry Creek Radio Turkey Drive helps us meet our goal of 300+ turkeys for our Christmas dinner distribution. 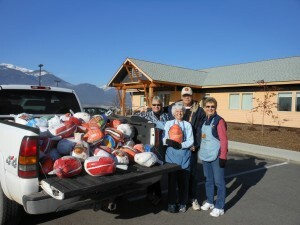 In recent years we received 100 turkeys as well as cash from this wonderful event. Cash/Check donations can be mailed to P.O. Box 806, Stevensville, MT 59870 or dropped off at the building during our regular business hours of 11-2:30 on Monday, Wednesday and Friday. Endowments: Raymond James Endowment Fund. You can contact our financial advisor at Raymond James Financial Services, (406)363-4293, for more information.